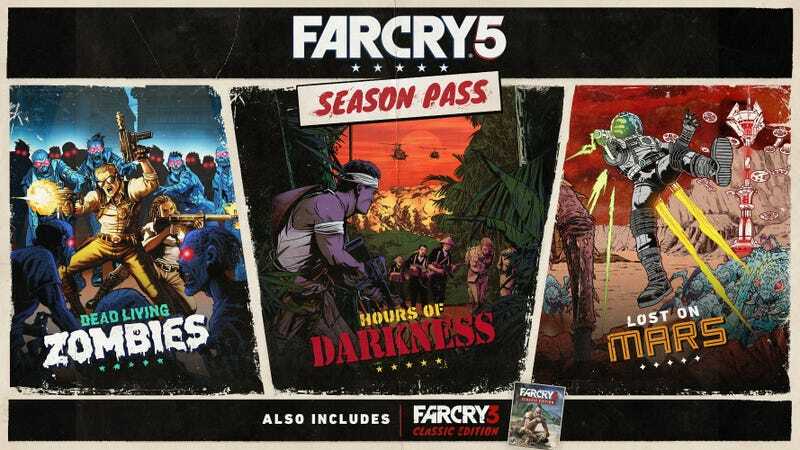 Ubisoft today announced details on the Far Cry 5 season pass, and notably, it includes a free copy of Far Cry 3 for PS4 or Xbox One. The third Far Cry will come to current-gen platforms this summer; season pass owners get it four weeks early. The season pass also includes chunks of DLC featuring zombies, Vietnam, and Mars.